Below: the very first edition of the album Black Sea by XTC, where the album was wrapped by a light green paper outer bag. Same idea as it was by John Lennon's "Two virgins" (Apple 1968) and the "United States of America" (CBS, 1968). Inside this green bag there was the "normal" album, with cover and the original lyrics insert, and this remained the official edition for all the worldwide reprints. Below: the EP "Generals and majors", where "Somnambulist" was first published, on side B.
I had to wait years before finding a better copy of Somnambulist: it finally was first released on LP on the double album "Waxworks / Beeswax", two separated single records where XTC reissued almost all those songs taken from EPs, Maxis and 45 singles, that for years were never issued on LP. "Somnambulist" was present on the second LP, "Beeswax" (picure below). It is also available today on the CD reissue of "Black Sea", as a bonus track. 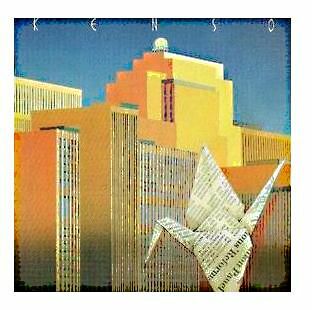 The song named "SD" belongs to a fabulous Japanese Neo-Prog band, Kenso. The title is "Sacred dream 1" and the album that you can see below is titled "III". If you search a little bit around, this is an LP you can find on some other blog. The track "TCS" is by the band Egg, entitled "Germ patrol", it's the opening number from their third album "The civil surface" (Caroline, 1974). 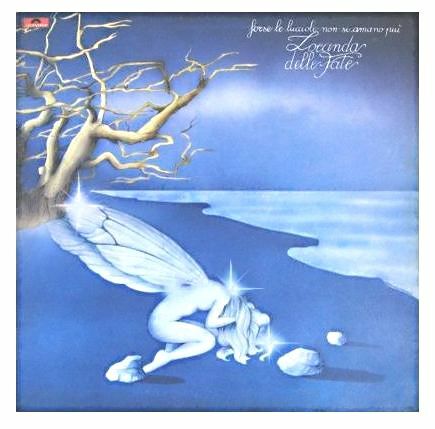 The band was in regular activity in the years 1969 and 1970 with two studio albums, "Egg" and "The polite force", on Decca Nova and Deram. They disbanded and reformed for this one-off last studio album, but as far as I know they didn't tour. However, I shall add that for those who love the band - and I'm one - that there exists a live recording of a concert, "Live in Colchester", of medium quality, the year is said to be 1972, although this leaves me a bit perplexed. there is also a version of Germ Patrol included, very faithful to the official one published later, in 1974. Probably I will soon upload this bootleg here. Above: a particular of the inner artwork of the "666" double album. The track "TD" stays for Todd Rundgren's "Tiny Demons". If you look for "Tiny demons", you must first look for the album "Healing" (Bearsville, 1981), a very good LP from the middle-period production of TR, at the time that he had long time given up making fabulous albums full of brilliant lunacy and pirotechnical pastiches (see especially "A wizard / A true star" and "Initiation", my two top favourite LPs of him, fling yourselves to GET them if you didn't yet!! ), in favour of records made of ... songs. Tiny demons was not included on the grooves of "Healing", but on a bonus free single contained inside the album, precisely the B-side of "Time heals". I don't follow the market CD reissues, but I imagine that surely this song is available today on some "Healing" CD release. In case someone is interested, I will publish tis fabulous LP where so many extraordinary pieces for piano solo are recorded. The pianist is Paul Jacobs, year 1979, Nonesuch Records.